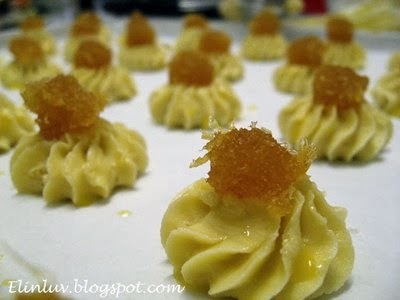 I had fun piping it out and it was great practicing my piping skills…..join me in baking this cookie tarts if you have not baked these gems for the coming CNY. 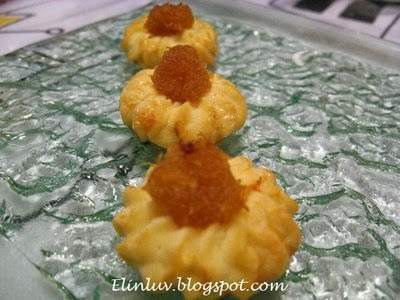 They are like cookie tarts :p something different for this CNY. Cream butter and powdered sugar till fluffy, add in egg yolk and vanilla essence. Add in the flour and milk last. Use a piping nozzle , pipe into a flower on parchment paper , ½ inch apart and egg glazed it. Put pineapple paste on top of the piped flower. Bake at 170º C for 15- 20 minutes.